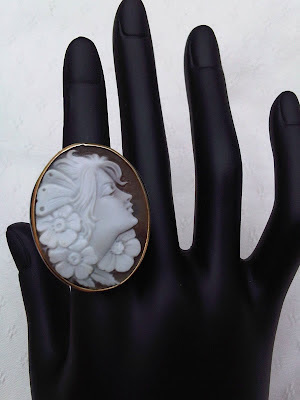 Hand carved sardonix shell, gold plated 925 silver frame on onyx base. Made in Italy. Price: GBP 350 plus p&p. It comes in a presentation pack with box and paper bag.